Dyeing your hard-boiled eggs is easy and healthier than using the Easter Egg dye kits available. 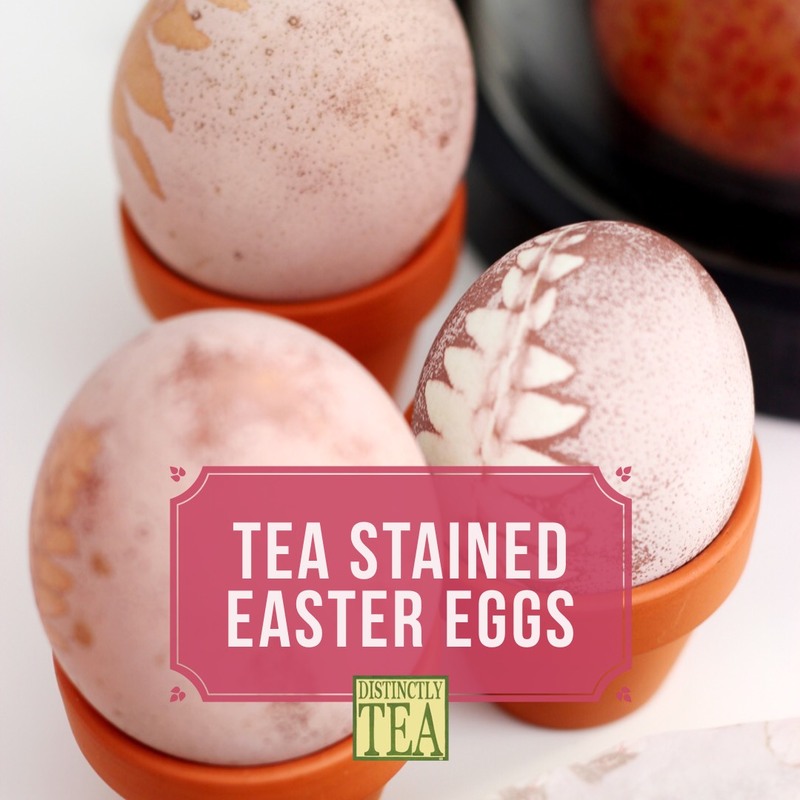 Teas must be made stronger in order to create a nice colour on your eggs. Using triple the amount of tea should create a strong enough colour. Steep 1 tbsp. of tea in 2 cups of boiling water. Leave tea leaves in cup and let cool till room temperature. Add 1 tbsp. of white vinegar to improve colour. Add your hard boiled eggs to the tea and let sit for 6-8 hours or overnight in the fridge. Remove carefully with a spoon & set them to dry. Other foods that add colour to eggs are red or yellow onion skins, shredded beets and turmeric powder. To make a perfect hard-boiled egg place the eggs in a saucepan and cover with cold water. Bring to a boil over high heat. Turn off the heat, cover the pot and let sit for 14 minutes. Drain and run cold water over the eggs until the water stays cold. Refrigerate for further cooling. Try using a crayon on the eggs before dying to create a decorative pattern. After the eggs have fully dried you could add a glossy shine by rubbing them lightly with vegetable oil.